First time imaging since the spring. Took out scope and camera to see if I still remembered how to use them. 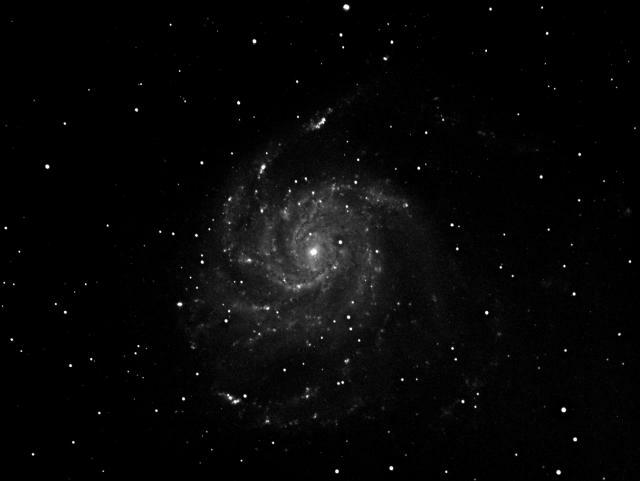 Above is galaxy M101 last night at 11PM, up high in the North West these early july nights. The scope a 5" refractor, image time 5 minutes exposures for a total of one and one half hour.